WASHINGTON (CNS) — Pope Francis has said that shepherds “should have the smell of the sheep.” For some bishops and their dioceses, that means going on Twitter. One of the main features of the diocese’s Twitter feed is a weekly series of videos where someone in the diocese reflects on a Gospel reading. In the videos, which are about two to five minutes long, people from the Pittsburgh Diocese describe what the Gospel reading means to them and how they apply it to their own lives. Sciarappa said that the videos’ popularity has grown more than he expected. “I started off by asking people that I knew to be good preachers, but the videos gained so much traction that people started asking if they could do them,” he told Catholic News Service. The reaction has been very positive. “The main thing I’ve been hearing is that people didn’t know that Pittsburgh had so many talented Christians willing to share the faith,” he said. Even the bishop himself has taken to Twitter. “He’s very hands-on in running his personal account,” Sciarappa said. Every month, he tweets asking for prayer requests, which he prays for and invites anyone who sees them to do the same. In the Archdiocese of Edmonton, in Alberta, Canada, a 2016 effort by Archbishop Richard Smith led to the archdiocese increasing its focus on social media. 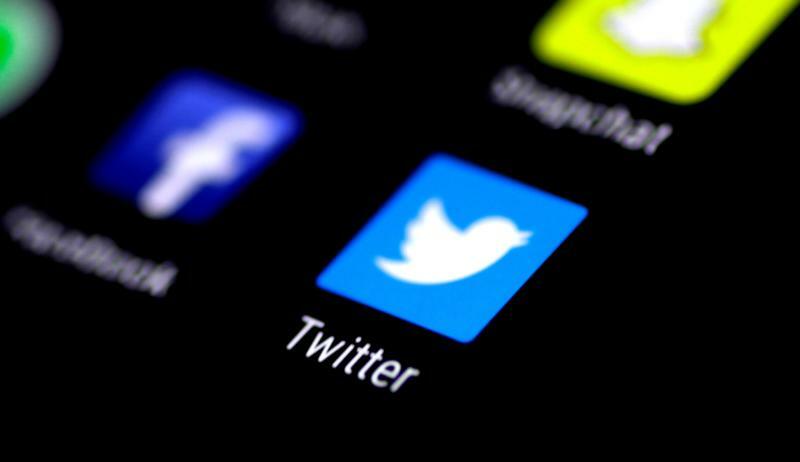 He mentioned that since the archdiocese covers a large geographic area — central Alberta — the Twitter account gives them another method to broadcast information to the entire archdiocese. The account also helps the diocese evangelize. Archbishop Smith is “probably the most popular archbishop in Canada who tweets personally,” Ho said. On occasion, the archdiocese finds itself the subject of trolling, which is making deliberately provocative online posts in the hope of eliciting a reaction. The Archdiocese of St. Louis sees its Twitter account as a way to evangelize. “There’s so much pablum and garbage out there, and so we need to stand up and be the voice of the Truth with a capital ‘T,'” said Elizabeth Westhoff, the director of communications for the archdiocese. The archdiocese began its social media presence in 2008. “Social media then was considered ‘new media,’ and we said that, if it’s new, we should probably be on it,” Westhoff said. People respond to the tweets on the archdiocesan and the archbishop’s Twitter accounts. “The messages we get, especially on the archbishop’s account, are interesting. He’ll get a lot of prayer requests from people who are struggling, and the archbishop will tell them he’ll remember them while saying Mass or reach out to them personally,” Westhoff said. In the Diocese of Green Bay, Wisconsin, Bishop David L. Ricken was motivated to make his own Twitter account after Pope Benedict XVI made one in 2012. “Following the pope’s example, the bishop wanted to get into Twitter,” said Matthew Livingstone, the social communications director for the Diocese of Green Bay. The bishop believes that saying the name of Jesus on Twitter is important. “He speaks to the audience that follows his account, but he also writes prayers to Jesus which he tweets,” Livingstone said. “In these spaces, we’re called to be salt and light,” Livingstone said, and the bishop believes that saying the name of Jesus is a key part of that. Despite the novelty of Twitter, Westhoff said nothing about it is really all that new.